Further congratulations goes to Atlantic Productions and National Geographic for Flying Monsters 3D. 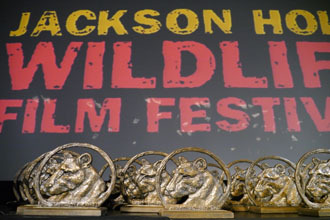 They won ‘Best 3D Program’ at yesterday's film competition last week on 6 October in Wyoming, USA. Flying Monsters 3D with David Attenborough for Sky 3D continues to fly high this year, having been awarded the first BAFTA for 3D and the IBC2011 Special Award. The project has pushed boundaries in the medium of 3D under the creative vision of Atlantic Productions and Sir David Attenborough. It was an ambitious and complex project to recreate this prehistoric world. However, with our team of experts to guide the project through pre-production, camera requirements and lab and post production, the results were rewarding for everyone involved. ONSIGHT's Lab & Post team provided 3D online services for Rankin Photography’s 3D music video for Kelis’ ‘Scream’. The track is the third international single from Kelis’ fifth studio album ‘Flesh Tone’ and is released today. Additional services provided by the Lab & Post team included the 3D offline, 3D online, stereo grade and mastering for 3D and 2D TV delivery. As IBC2011 draws to a close, ONSIGHT is thrilled to have seen Flying Monsters 3D with David Attenborough featured at the RAI Amsterdam and recognised at The IBC Awards on Sunday 11 September. Congratulations to Atlantic Productions for receiving the IBC2011 Special Award with contributing partners Sky 3D, SGO Mistika and our team at ONSIGHT. This reward was for exceptional 3D vision in creating Flying Monsters 3D. It is given to a project, person(s) or programme that has pushed boundaries. ONSIGHT also made IBC2011 Innovation Award Finalist, with SGO Mistika as supporting partner, for post production in the Content Creation category. 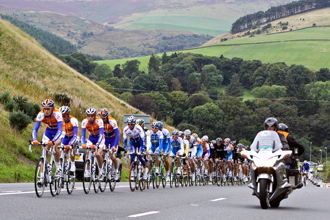 For the fourth consecutive year, ONSIGHT’s Edit Rental Department supplies and supports the systems to capture The Tour of Britain 2011 for Century Television. Multiple HD capable Avid systems were installed a week in advance to prepare for this extensive live coverage of Britain’s biggest cycle race. It stretches from Scotland to London with 8 memorable stages, involving some of the world's top cyclists. Our Camera Rental department also gets involved, providing XDCAM HD cameras. 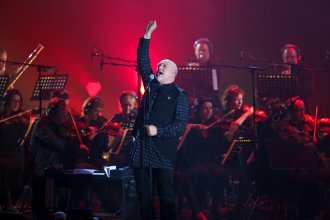 ONSIGHT and Eagle Rock Entertainment have joined forces again, this time for the concert film, Peter Gabriel: New Blood Live In London. As 3D pioneers, we were more than happy to assist Eagle with their 3D debut. Shot at the Hammersmith Apollo in Stereoscopic 3D, we provided 3D minicams alongside Telegenic’s studio style cameras and facilitated full lab and post services.